One thing that most economists can agree on is that pharmacology is one of the strongest global industries. Everyone is invested in a high quality of living. 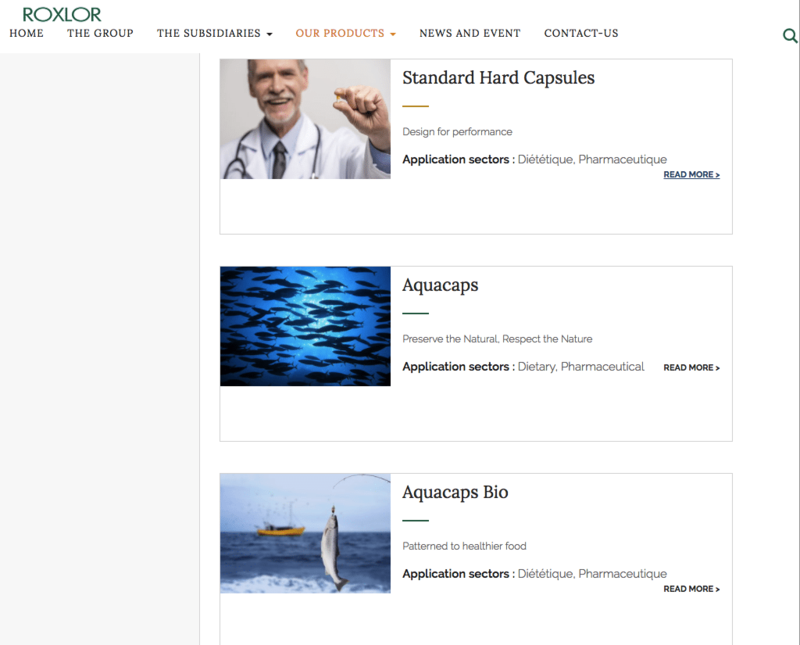 While many might focus on the “Big Pharma” firms that seek out new drugs to address different diseases, Roxlor Group holds a unique yet vital place in this growing industry. They don’t design the drugs, they manufacture the pills that carry the remedies. 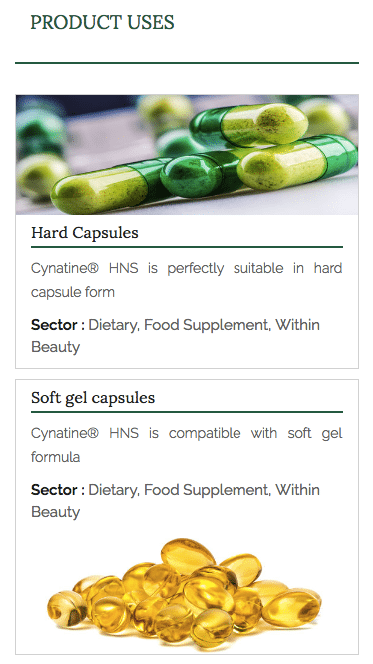 Operating in the United States, Europe and Asia, this family owned French firm manufactures high quality two-piece hard gelatin capsules for the pharmaceutical and dietary supplement markets. 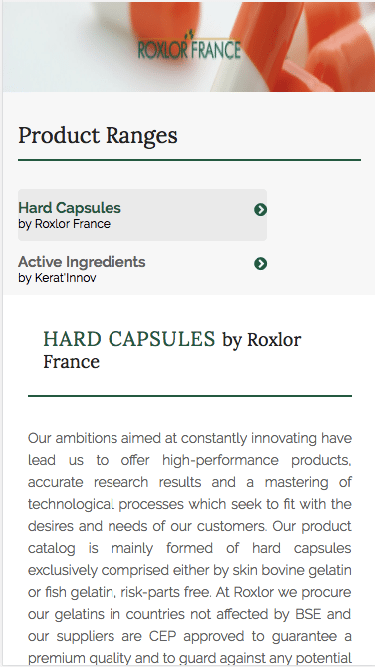 In addition, Roxlor produces nutraceutical and cosmeceutical ingredients for the same markets. 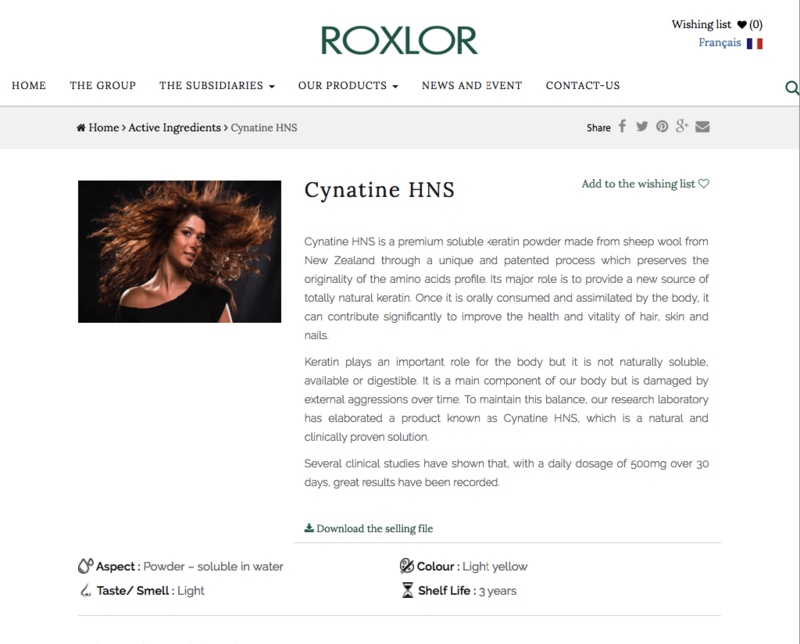 Roxlor is a big player looking to expand their market share. They wanted to convey their experience, creativity, and modern approach to engineering to prospective clients who desperately need what Roxlor can provide. A key part of this outreach was to build the right type of website. Roxlor knew that they needed the right sort of advisors to create the digital presence they needed. That is why they partnered with CobbleWeb. Part of the strength of Roxlor is its history; for over 30 years it has developed a habit of excellence and has remained true to its identity. 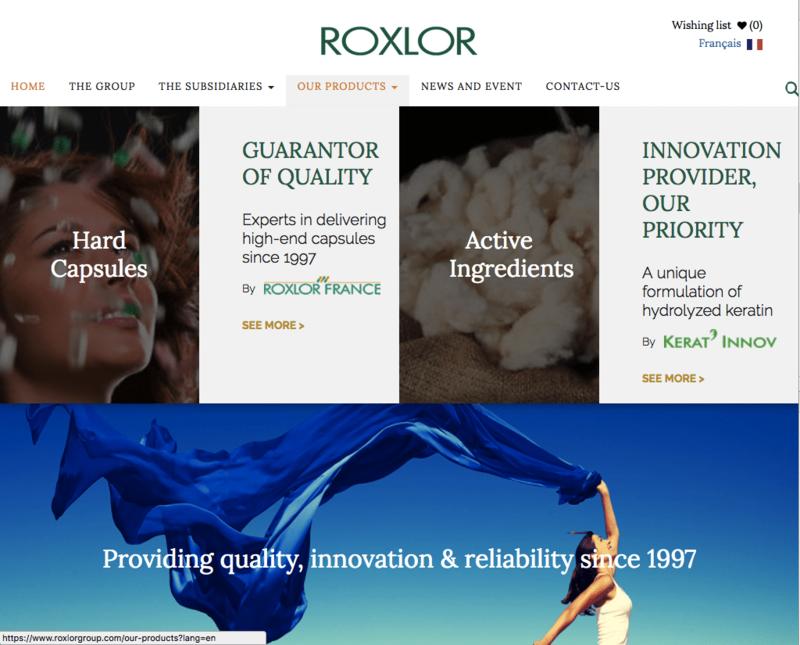 It was vital that Roxlor’s new website conveyed that strength of cultural character because it would help them stand out from their competitors. But they are still a technological firm, which mean Roxlor could not appear to be stodgy or stuck in the past. Too great of an emphasis of what they were could limit a potential client’s view of Roxlor’s future prospects. 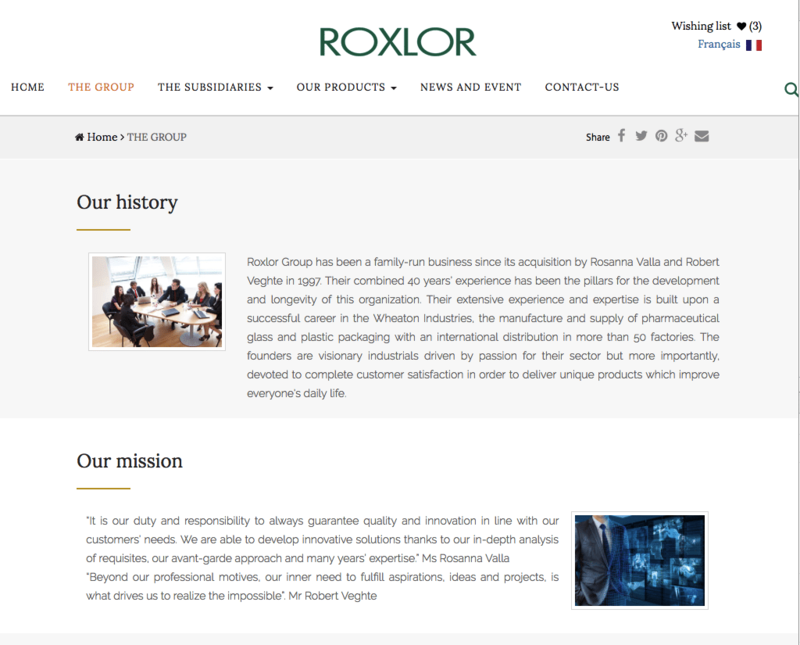 The challenge of Roxlor’s digital rebranding was to balance its historical track record of providing quality products with its commitment to innovation and continuous development of modern engineering. This message needed to be authentic to ensure that Roxlor attracted the right type of clients while competing with major competitors in the field. In addition to this general direction of what the site needed to accomplish, Roxlor wanted to achieve a few specific goals. 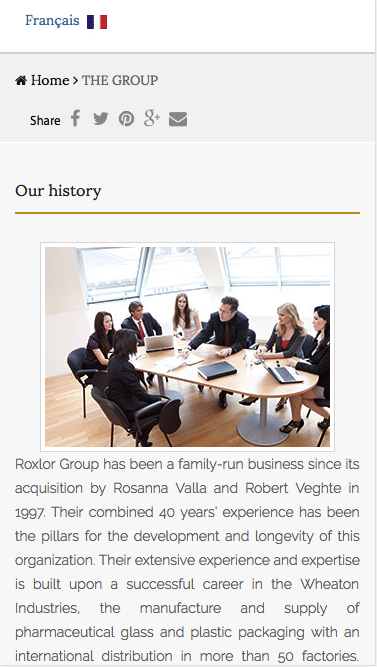 Roxlor is actually a group of subsidiaries, each of which addresses a particular segment of the industry. Each subsidiary has it own brand to reflect that segment focus. 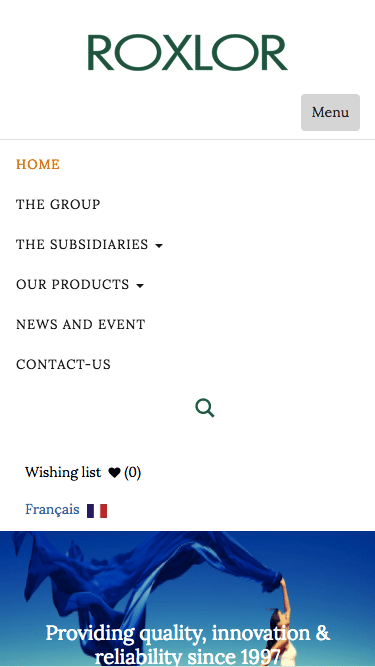 The challenge was to present each subsidiary and accurately reflect the brand, while simultaneously maintain a consistency across all of the group's pages. 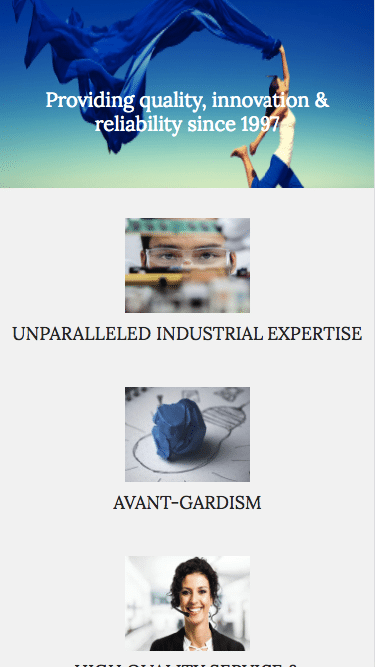 There are three types of individuals that search Roxlor's product lines for a potential fit; purchasing directors, marketing directors, and scientists. Each type of potential customers is interested in different facets of the Roxlor products and therefore require different information. 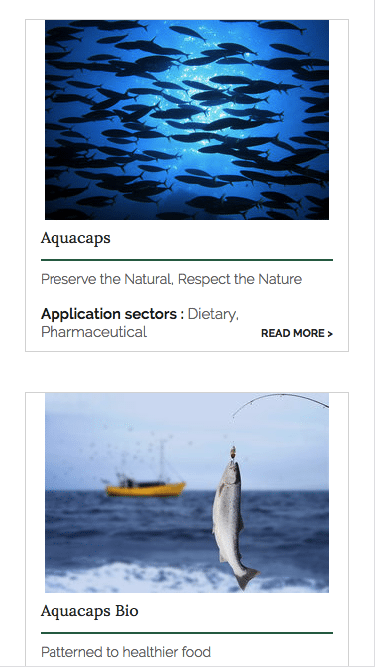 The challenge was to design information pages about the products that are relevant for all three, without overloading viewers with information that are not relevant to their specific needs. 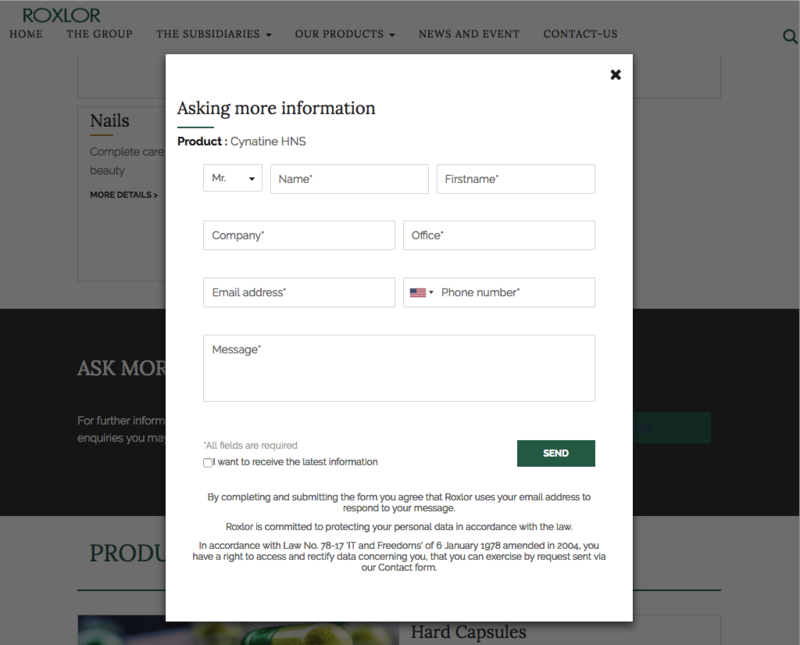 One of the steps in the Roxlor sales process was to have a pre-sales consultant have a one-on-one discussion regarding technical details once users have identified a product in which they are interested. Therefore, a major initiative of the project was to gather the right information about when users could benefit from a discussion with a pre-sales consultant to ensure a seamless, effortless sales process. 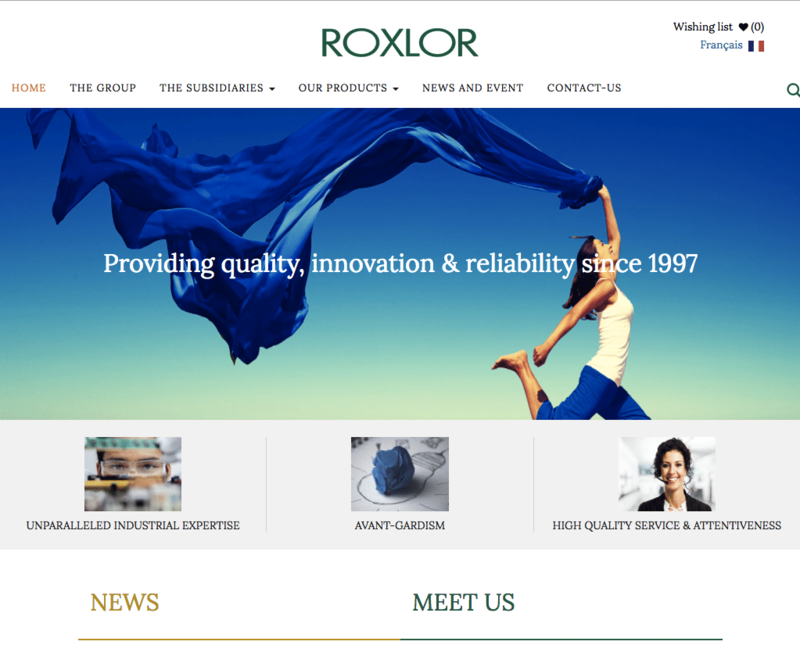 Roxlor wanted a site that would be easy for them to maintain and update. 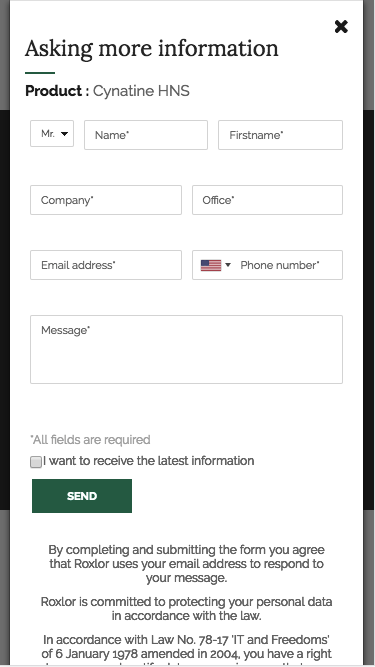 That requires a flexible and customizable administrative interface so that Roxlor could quickly adjust their site and promote new products. When beginning our work on this project, we focused on converting visitors into hot leads. While the goal was to present an innovative company with a history of excellence, we knew that how we would be judged on how well we presented that brand would be based on the number of sales the site was able to generate. In addition, we added a few specific features to address the specific action items described above. The challenge of a creating a site that allowed each subsidiary to maintain their individual branding while fitting in a larger context is similar to that of conducting an orchestra; you need to know when to let each industry come to the fore and when to place it into background. 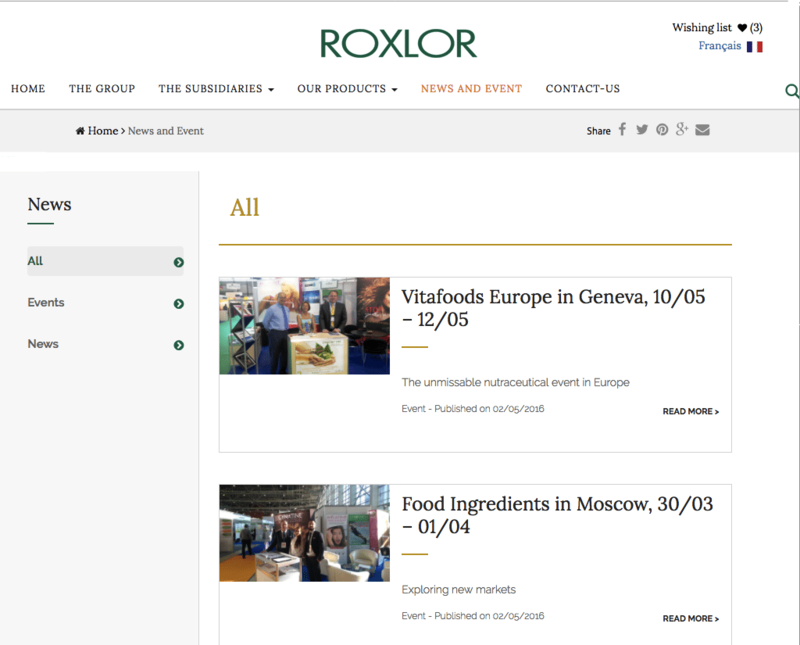 We achieved this by adding a contextual menu to the Roxlor Group site. 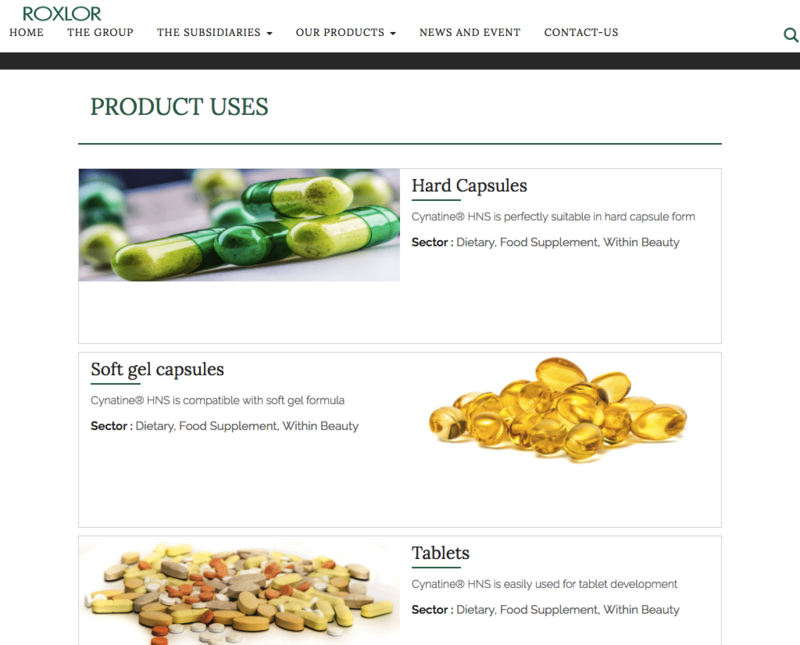 Users can scan the different subsidiaries and review the product list based on what each subsidiary offers. Users can then choose the product, and by extension the subsidiary, they need. This allowed us to maintain a consistency across all subsidiary, while allowing each brand to shine in the right circumstances. 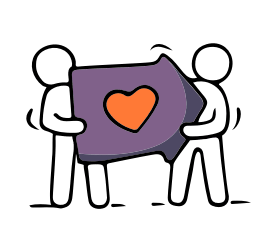 The challenge of presenting the right information to each individual class of user was a daunting challenge that we were able to overcome through clever design of information architecture. 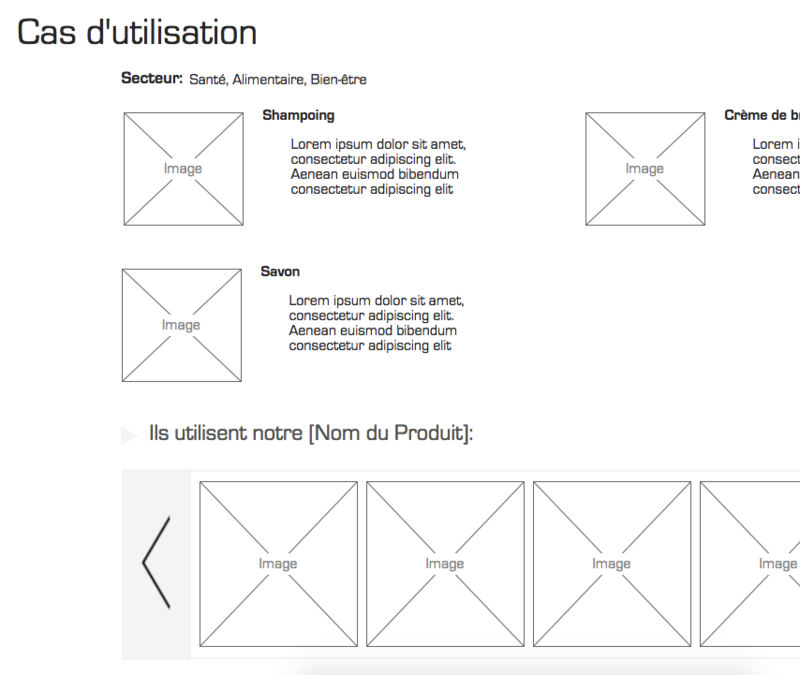 Zoning was the key factor for success for the usability of the site for the three different segment that make purchasing decisions. We learned what segments used what combination of key-words, and using that information we were able to guide them to the correct information. Users were able to choose which information would be displayed, which minimized the risk that they would be overwhelmed. 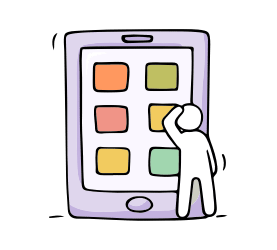 These features allowed the users to not have to flip through multiple pages to find what they needed, giving them more time to learn about the product. 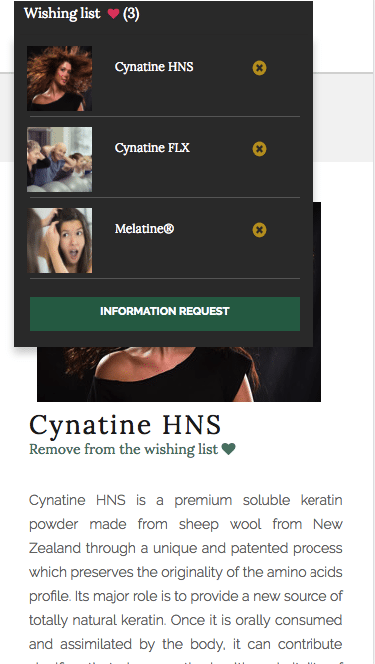 as part of the redesign, we created a feature that allowed users to create a "wish list," or a set of products in which they were interested and had additional questions about. 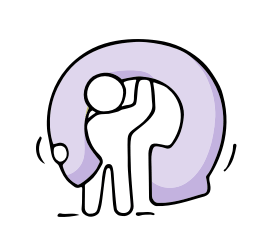 By creating this wish list, the pre-sales consultants were notified of which specific products the customers were interested and could better prepare for the follow up, making the who process much more efficient. The key change we made to help make the site easier for administrators is to add the option of creating different custom post types. In a content manager system, such as WordPress, all posts have the same structure and look alike. 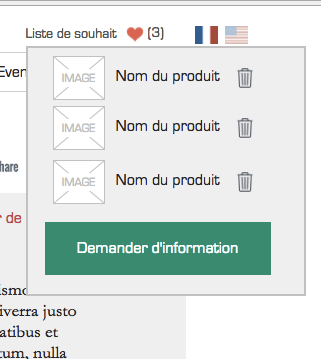 For a company like Roxlor, that could make posting content to its best advantage incredible difficult. 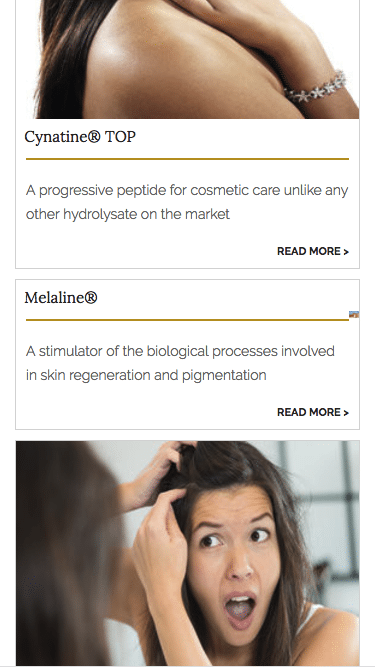 These custom post types allow you to create different posting structures for different classes of product, so that you can best display the information. 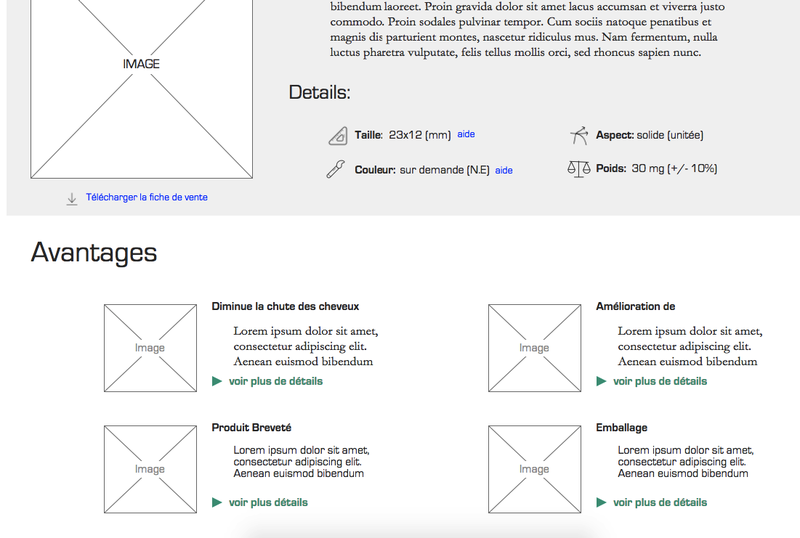 From there, you can use the different posting types anywhere throughout the site. The effect is consistency in presentation throughout, efficiency in product displays, while making the whole process very easy and straightforward. 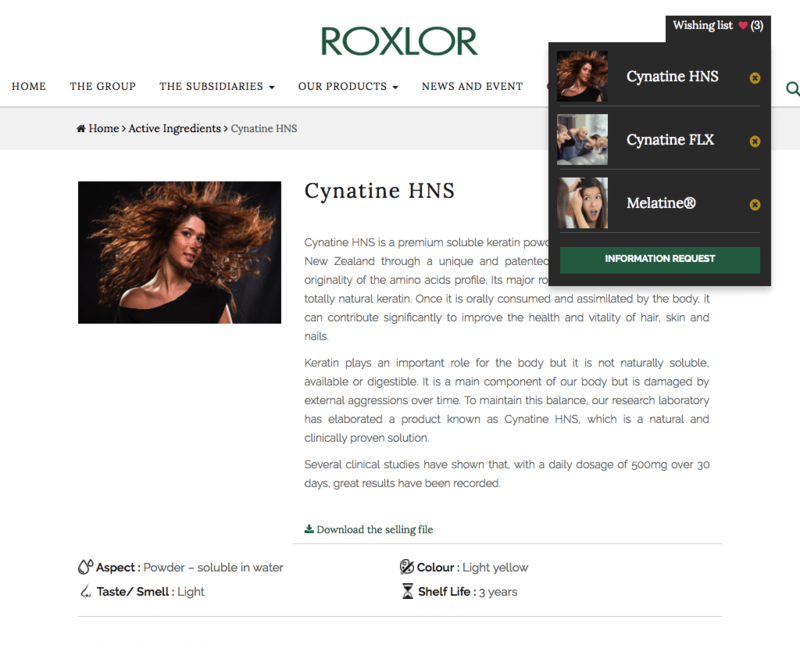 We spent a good deal of effort on generating a brand cohesive design language and clearly defining the presentation of Roxlor’s content. The priority was ensuring that customers chose Roxlor for their needs, and we supported those efforts by creating a rich visual experience. We were inspired to use a minimalist design with clean graphics and strong typography. We felt that this combination associated Roxlor with good design, straight-forward transparency, and solid execution, which would only support their sales efforts. We used natural colors and textures as a means to support this perception. Our main graphic elements were brown and yellow accents with white translucent materials. The overall visual identity we created, while simple, was incredibly bold and stood out from Roxlor’s competitors. 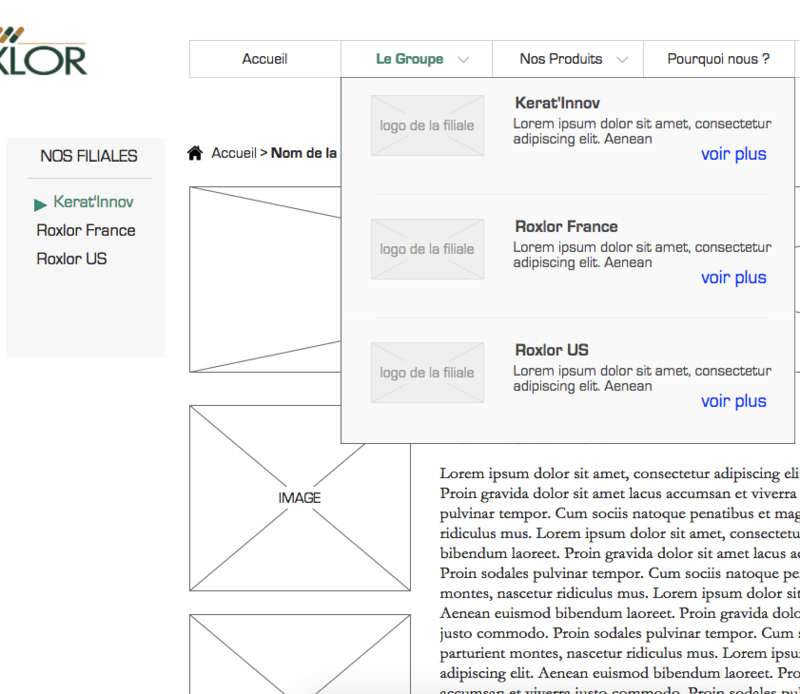 The new Roxlor site acts as a starting point for new sales to be generated. 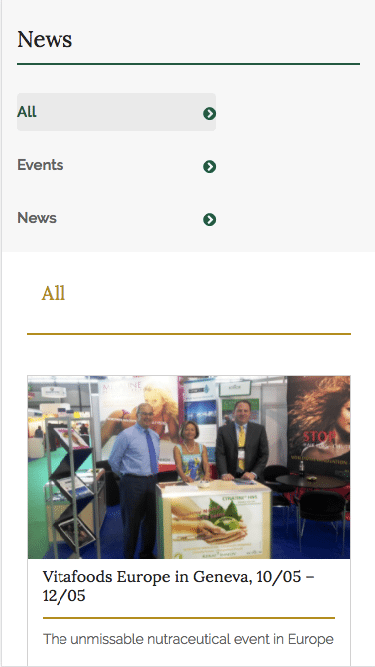 Before, Roxlor's sales team was not confident in the site; now it uses the site in trade shows to increase traffic without increasing the marketing budget. Return visits to the site have increased 280 percent, and the rate of conversion of visitors to customers has increased 500 percent. 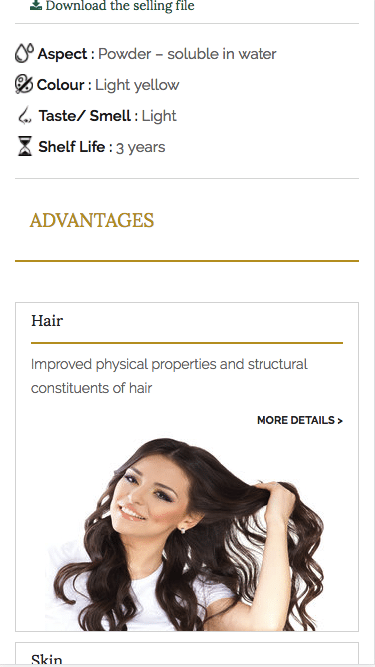 The effect of the new site has been transformative. 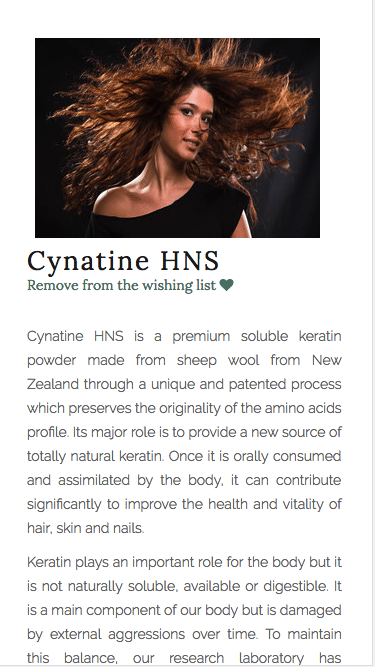 The industry leader in organic capsules is not the industry leader online, with a website that is generating more leads everyday. 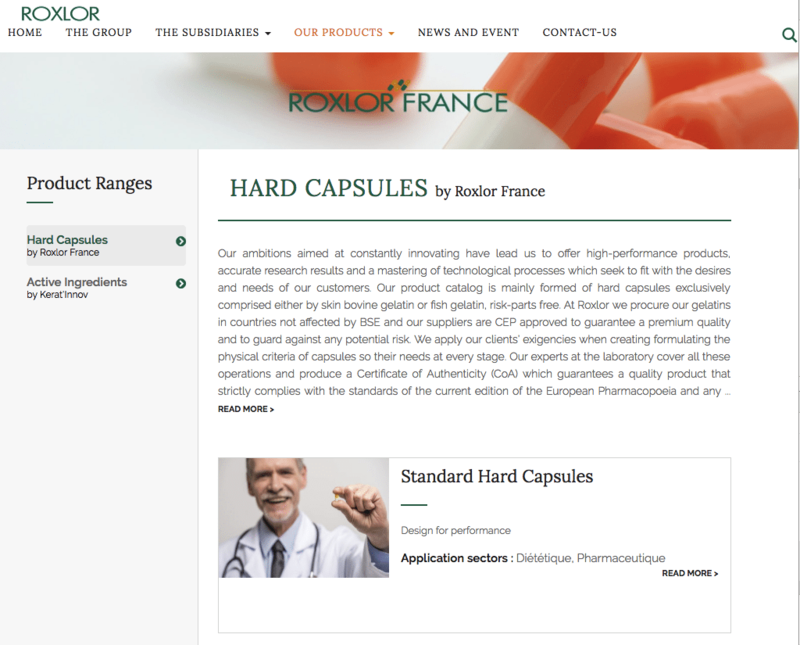 The quality of Roxlor's site now matches the quality of their products. Does your website mirror the care and quality of your business? 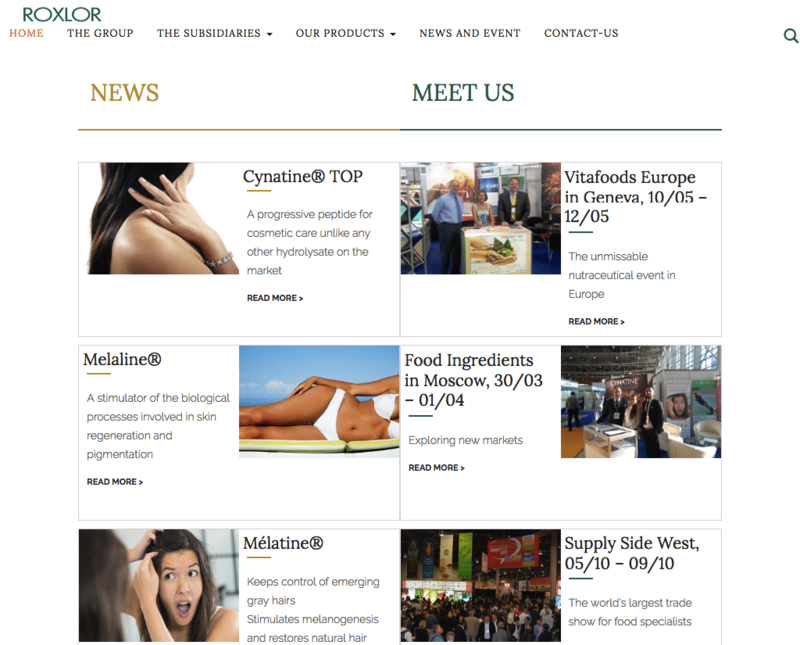 Sales team used the website in trade show that increase traffic without investing more in marketing. They weren't confident to do this before.